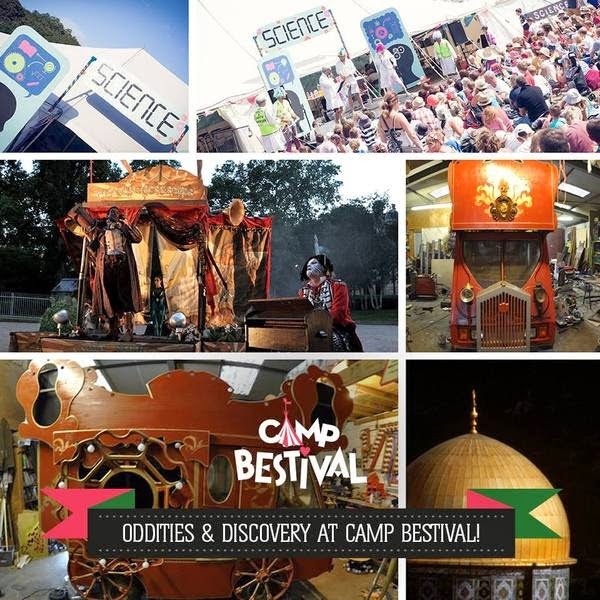 For those that pop over to Tent Sniffing for Beginners, or those that follow me there it will be no surprise that I'm excited about going to Camp Bestival this year. "No circus is truly complete without a touch of magical miscellany, curious attractions and inexplicable distractions. And so, Camp Bestival’s most aberrant roustabouts have not only created an inspiring world of discovery with Oberon’s Observatory, the LEGO Imagination Factory and the Science Tent, but they’ve also brought together a breathtaking collection of oddities like Caravan of Lost Souls and Britain’s Not Got Talent that will enthral the whole family at Lulworth Castle this July 31-August 3." What can this mean? I wondered... The caravan of lost souls? Sounds odd enough that I would love it! Igor Rasputin’s Caravan of Lost Souls is an incredible ape-powered pop-up circus providing wondrous entertainment for your delectation and appreciation. Witness magic, contortion, hula hoop, mime, an amazing array of circus skills and more from this cabaret of curiosity, popping up in all four corners of Camp Bestival! Well that sounds PERFECT! Entering a world of discovery, we are extremely excited to announce that LEGO will be joining us to kick off the summer holidays in style, with the Imagination Factory. A celebration of ‘free build’, this magical environment will immerse you in the LEGO belief in the power of each individual’s imagination. Doubters might see a pile of bricks and accessories but ‘we’ see a jet fighter, a beautiful flower, an alien monster, our dog called Spike or the skyline of New York. The golden rule of The Imagination Factory is that there are no rules – no rights or wrongs – just inspiration to let LEGO enable you to build anything that your imagination can conjure up. And for the show offs, show men and show girls there is ... the Showmany Calliope, a mixture of traditional fairground showman heritage, pyrotechnics, a full independently powered 4K sound system and a bowtop caravan themed stage, that will play host to the devilish Mosschops and Sidewicket’s Britain’s Not Got Talent. So, do you want to perform on the craziest stage of all time? Have you got a talent? Have you not got talent? We don't care, because we haven't; so anything goes! From Dutch didgeridoo dancing to skateboarding budgerigars; panpipe duets to five-year-old Frank Carson impersonators (keep it clean please), we need you! Terms and Conditions do not apply. I'm starting to plan what to wear now, and wondering about the rest of the CampBbloggers, I wonder what they are up to..